Mai was a Sufi soul. She broke through the shackles of identity defined by name, country and religion. She was one with the infinite beyond borders, time, religion and all that can be divided. Zehr-e-imroz mein sheereeni-e-fardaa bhar de! fill sweetness in the morrow from the poison of today)"
Not all prayers for redemption are answered. Some lie suspended, maybe forever — or dismissed. Who knows? It was many years ago when I visited the Barmer-Jaisalmer stretch of sand dunes in Rajasthan that glitter beautifully — like gold in the warm winter sunshine — in search of something inarticulate. My search continued, carrying me to many places across continents over the years, but my thoughts always brought me back to the untold story of the mysterious old woman I met there, who travelled through time and received a call to prayer from the other side. This tale traverses through the dispossessed land into unanswered prayers, witnessing the strings of tragedies and hope, refuge and exile. I have forgotten many things about that visit except her wrinkled face and sharp features. She asked me for money at the bus stop to buy bidis (tobacco sticks). I bought her a packet. She told me that she would tell me my future in exchange. She carried an infinite absence in her eyes. It was not the absence of eyesight that she had almost lost. Yet, with a blurred vision she claimed to see both the past and the future. She told me that one does not need eyes to see the divine light, for it is present within us. She was too old and frail to walk, but she claimed to travel through time. She told me “It is not a state of bliss. It makes one a captive of memories and hope”. But then, who is free from such ties? She told me things that never came true. I remember her telling me that I was trapped in an infinite search. I didn’t know what she meant. I didn’t ask her. But who isn’t? We are all captives of hope and despair. She was called Mai by the local villagers. She told me she had forgotten her real name, as it was important for no one. A name is for others she said. We believe that we own it, but we only carry it. Later that evening, she took me home for tea. Hers was an almost broken katcha (mud) hut in a village called Akali, beautifully located between sand dunes, about half a kilometre away from Pakistan, near Munabao village of Rajasthan’s Barmer district. 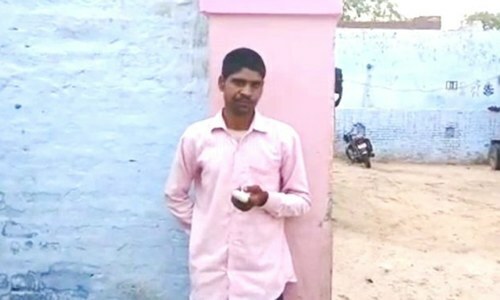 It is the last village on the Indian side of Zero Point. She showed me the other side near the border from a good distance. It was fenced but looked the same, like our side. The same parched expanse of the Thar stretched on both sides for miles. 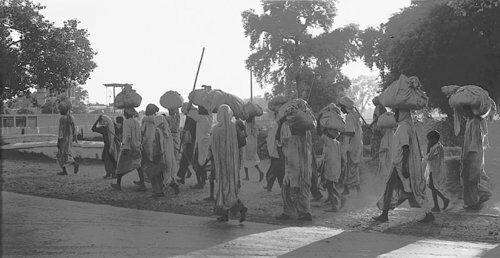 During Partition, the sand was divided into two countries with the Munabao and Khokhrapar villages on either side. 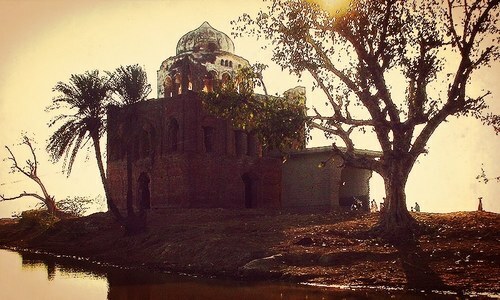 Munabao, which lies on the Indian side, tells many stories of abandonment and loss. The village now has only empty houses, a Border Security Force (BSF) outpost and a railway station that links a train to Pakistan. She told me stories about the Sodha Rajputs and Sindhi Muslims who live on both sides of the border, speak the same language — Sindhi and Marwari — and carry the same pain. She said that the wind could not wither the line in the sand. We share the miseries of our neighbours on the other side. But despite our shared sorrows, we remain divided. She told me the story of how god had abandoned her village as the original temple of Jata Mata, the deity the villagers worshipped, is on the other side, in the first Pakistani village after the border, Sajan Jo Par. They have built a new temple now in Akali, but it is a temple of absence. She claimed the god on the other side called out to her and believed that the prayer calls from across the border were meant for her. I only smiled. After all, beliefs are personal and not meant to be questioned. She told me that time-travellers transcend the boundaries of geography and time. She claimed herself to be one. I didn’t know what she meant until I heard the azan. She told me that it was coming from the other side. To me, her house seemed like a museum of austerity with a charpai, a black and white, dusty, framed picture of her late husband on the wall, an old wall clock that did not show the correct time, and small idols of Ganesha and Durga on an old wooden board. She carried many stories in her heart and told me how she lost her husband when she was just 19 and how her three sons had left the village for work and never looked back. It was 11 years ago when her eldest son last visited her and sent her some money. She had long abandoned hope of their return. She had set them free. She said that after experiencing so much in life, she had realised that attachments and belongingness restrict freedom. It is good to belong to nothing. She was brave to accept that and let go. But then, there lingered the memories. Nostalgia is not always a happy state. She wished that she had amnesia; losing one’s memory is better than losing one’s eyesight, she believed. It is a respite for old age, but not everyone is blessed with forgetfulness. One should always remember to forget. She sang to me songs of silence, her collective reflection on love, memories and exile. She told me that villagers called her insane, but who isn’t? Even those who gave their lives for freedom were. Perhaps freedom is the legacy of lunatics. Whenever death befell the village, she would go and sing elegies, songs of death. They gave her some money for that. She had learnt them from her mother-in-law. She told me that sometimes she thinks of her own funeral, and how her sons may not even know about her passing. They had changed their phone numbers and she had stopped getting their calls. Maybe, they want to disown her because she did not possess anything to give them — neither land, nor money — and love unfortunately is not a commodity. Hers was a life of dispossession. She told me that her clock doesn’t work and how she had learnt to despise time. She didn’t let the politics of religion and geography interfere with her freedom and had tuned her life as per the azan from the other side. Her mornings began with the sound of azan and her days ended with the same. 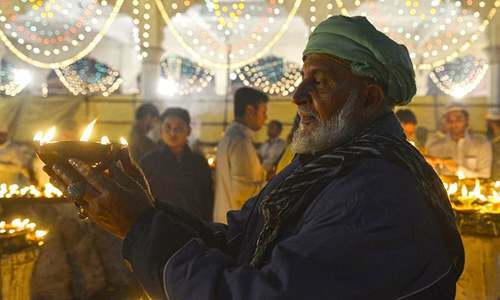 This Hindu woman lived her life connecting with the unanswered calls to prayer — the azan from beyond the border. Maybe, this is what freedom means. Maybe, this is what we all should claim. Not even the one who listens. Prayer transcends all that is defined. I asked her if she wanted me to get her clock repaired. She gave me a strange look and remarked that the dead clock had set her free. She was not bothered about the time. She told me how she had transcended time to the point that she had even forgotten to die. We both laughed at that. Her roots were in Umerkot, Sindh on the other side from where she received the prayer spells. She believed that the azan from the other side is the call of god who is left on the other side. She said it is better to confide in delusions, if they are so. At least, one knows they do not exist and so they would not be deceived. In that moment of awkward silence, I avoided looking into her eyes, and left. We suffer from an incurable malady of worldly belonging. Later, I lost the phone and her picture along with it. Years passed and I thought of her many times but did not try to see her again. This is how some encounters should be left — as unedited accounts of memories. She might have died now. Maybe I didn’t want to know about her death. Today, as I am writing about her, I remember her saying with unbearable regret reflected on her wrinkled face that she’d be remembered by none. Only death could free her from her ageing body. I hope she exists somewhere un-belonged and free. Her bond with the other side is a glorious eulogy to the unanswered and un-belonged prayer calls that had kept her alive, when abandoned by her own people. I am nobody to comment on what she found in those prayers from the other side, of another religion. It was her private account. This August, when both the neighbouring countries were celebrating their respective days of freedom, I remembered the old woman who dismantled all the boundaries of geography, religion, time and lived a life of ultimate freedom. She belonged to nowhere, like her god. Perhaps she found the songs of freedom in the anonymous prayer calls from the other side. Akanksha Sharma is a peace activist and an internationally acclaimed CSR and Sustainability leader. She is also a writer and a sustainabile fashion model. What a wonderful heart pour!! Very good!! Continue educating us please. Thank you. Superb .... Hindu if he has achieved some spiritual growth and is at peace with the surrounding will never get disturbed by the morning call of prayer ....if he is getting disturbed then he has to do a little more introspection when he starts his prayers... meditation. Morning Prayer call is for everyone to start new day by remembering Him first ! Akanksha, what a wonderful experience and you have captured the whole sole of that moment in your writing as well. It felt like I was sitting there with her listening to both of you having that conversation. What a beautiful concept of time and selflessness. Definitely a true Sufi she is. Thank you. Well written. Respect for others religion region is respect for oneself. Noble souls never die. Regrets that Madam Akanksha should have taken care of her through any body. Its all destiny. Partition was curse for Subcontinent & who were part of it didt remain happy. Its history know but its still visible. Good gentle humans should come forward and let all in region to feel & repent what mistakes have been done in last 300 years in Whole region. Hope the change comes in our lifetime. To accept ones mistake is more powerful then any other charity. It was Amarkot, but now Umarkot! Thank you for this amazing read! You're a wonderful writer! @ The leaders of both the countries must read.These two nations are fighting each otherand it should come to an end.I do not know when sense will prevail.Divided families are suffering but who cares.A time will come that only stories will be left and few people who are alive on both sides of the border will die. A wonderful article written in a magical style. Beautifully written. Food for thought, food for reflection and food for soul. Most of all food for humanity. Thank you Ms Sharma--and Dawn. How long both India and Pakistan will be hostile to each other and people on both sides had to suffer especially the divided families.The leaders of both the countries can easily visit but restrictions are for the common population.Lets pray that sense prevails and people can visit without restrictions.If Eurpoe after World War can do that why not Pakistan and India do it.India as a bigger country can take the lead.Are great leaders are extinct in our part of the world.Do it now or these countries will repent.Hope for the best as this is the only thing a common man can do. enjoyed reading this unique article. Boundaries are created by rulers only for themselves to rule within them, because they cannot look beyond. Liberated souls have no boundaries . They can see everything beyond anything, any divisions - because they see only what god created and don't see want humans divided later. She born and lived free, beautiful and inspiring. We are the prisoners of time. Mai is far ahead of us, on a different plane altogether. There are may be many Mais out there but it takes the courage and eyes of a person like Akanksha Sharma to pen down the experience. Very moving. Thank Ms. Sharma. The entire piece is so thought-provoking and philosophical. Makes one review one's own life! Well-written! Simply Awesome and Heart touching. My respects for the writer for such a soul searching story!!!! It's a very inspiring article. Kudos to the writer. May I share my poem 'Without Borders' with the readers of Dawn? How do you conjure up a scenario: no states, no nations, only a vast ocean of humanity! It may sound amazing - not easy to comprehend; yet, look inward. Blind self-love fascinates, but excludes, blurring vision beyond borders; a closed identity, its magnetic pull gravitating, jams the wings of flight to take off into the universe. Try to see peaks from the foothills. A huge wall of height stands, blocking your searching eyesight; from a distance they outline a wondrous panorama on the horizon. It would have been nice to attach the cell-phone photo to add a pinch of reality. Millions would know ad remember her after her passing-something she would have cherished. Good she finally realised the one true God whose power gave us our independence and keeps us safe to this day. We pray the same for IOK. Akansha Sharma has reminded me of real stories told by my father covering Lahore and Gujranwala.Thanks to Dawn and Ms Sharma. WOW...Just don't have words to explain what I felt reading this beautiful story.GREAT WORK. Mai will be remembered now by more people than she ever imagined. How refreshing this literature is.It is invigorating to get away from the torments of materialism now and then. 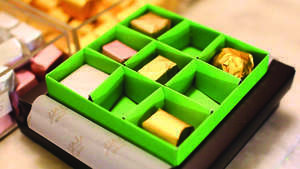 Akanksha, this is the first article read of that much length, after a long time. Very much please with your writing, totally lost in it. "This is how some encounters should be left — as unedited accounts of memories." ... Speechless .. @sajjad u said it right. " you have captured the whole sole of that moment in your writing as well"
Keep up the good work. Hope to see some more coming from you. @Shailendra .... Your words are beautifully put, specially the last sentence. We are not going to undo our dear Pakistan. You keep singing the song of aman ki asha. We cannot be fooled and be butchered in another partition. This was one of the most original journalistic writings that I have read in many years. I am from Umerkot-the town of this old woman. Very inspiring and very well written..enjoyed while i was reading !!! Love to all my Indian family always and always. 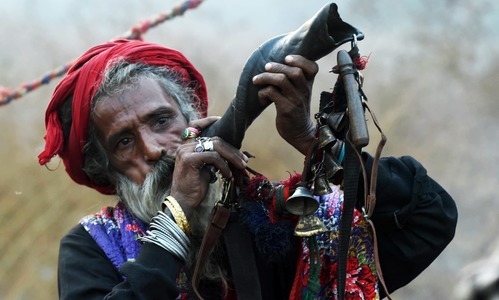 Indians when they speak Sindhi sounds so sweet, reminds me of Sindh Pakistan. A few years back, we had received an invitation to attend a marriage ceremony of Mishra Uncle's son. We had known their family for the past few decades when my father was posted in Patna, Bihar in the 1980s. Although I could not attend, my brother, mom & dad were present. My brother was happy to share that one maulvi sahib had travelled all the way from Bhagalpur, Bihar to bless the couple in Delhi. He was a special guest because the bridgegroom always responded cheerfully to the morning Azan when he was a baby. Mai was however far from her loving land but close to divine, having impression of awakening...perhaps due to bitterness of materialistic life she got closer to her soul to divine...encouraging her to be liberate from belongings and become soul consciousness..it is the main lesson, the first ladder to spiritual growth in Hinduism. @Zak You just killed the very soul of this emotional marvel !! Great narrative. This is exactly so on both sides border in Thar desert. Many villages are divided by fence but prayers are offered on same azaan. Some times one feels very sad to witness funerals of each other's relatives across the fence but never be able to participate or offer fateha. @Sajjad I also agree. Akansksa , how beautifully you have put your wonderful experience in writing, really praiseworty. Lovely story .... saddened by a mother abandoned by her children .... life is cruel but she found solace in the simplest of things .... thanks Azaan .... she was happy with no possessions while the world scurries to accumulate more .... never satisfied .... even denying others! Unbelievably well written. You pictured the whole story and I felt like I am standing there and seeing this from my eyes. Akanksha Sharma Bless you beautiful soul keep spreading the message of love and harmony. We Pakistanis love India and people like you who are angels and talk about peace, communal harmony and above all oneness of humanity. Sindhu Maa Loves You All. Sending lots of blessing and prayers of Shanti from the Sindhu Dharti Maa. Sindh, Pakistan. What a beautiful narrative of the encounter with 'Mai' that transcends borders, time, space and beliefs! Mai sons may not have remembered her. but through this article of yours She must be remembered by many. Thanks Akanksha for sharing your experience with her. Remarkable piece, only people like these could find the true meaning of life, and blessed are the ones who some how get to know and be in company of such selfless souls with eternal meaning. Very well narrated, so natural, well done! Captivating story beyond time & space. Beauty par excellence - the soul was/is (?). Love - unfortunately is not a commodity. Such beautiful writing ! The writer is a true spiritual globalist . She will feel comfortable and at home in any kind of spirituality and spin moving takes about old woman with vacant and melancholy eyes . That is her amazing talent . She can mix and mate water and oil with the ease of an accomplished alchemist. That is her forte . May her tribe multiply manifold. Lovely. I felt like I was at this meeting! An excellent thought provoking and best article I read this morning. Being a native from Barmer.... All depiction goes very well.... Much to this if you could narrate their self resilience... Article will get it's fool moon. Sensitive and nostalgic! Faiz Sahib's poetry quoted in the article is one my favorite kind of prayer. Encounters such as these are to be cherished forever. The old lady with nothing to lose and nothing to give, except her wisdom to those who cared to listen to her. And the story ends where it should. @Col HC SHARMA Please share some of these stories. Thanks. Well said from within, Akanksha. There must be a few Mais left on both sides. Let us learn from them before they leave for freedom. Leaders and Readers should visit this great story to learn there is more to freedom than a flag. Thanks, DAWN - you have your own story to tell. @Zak Has Donald Trump visited the store that you work in? No words, only emotions, may she rest in peace. This was beautifully written. I once met an Indian from Jammu whose family had migrated from Sialkot. He spoke of people gathering together to look upon the lights of Sialkot which lies on lower ground than Jammu. Things that seem part of the mundane - the morning azan or the lights of a city - acquire great allure for families that moved just across the border: a reminder of the life they would lead but for '47. i found an inspiration from saadat hassan manto's novel toba tek singh. A masterpiece for sure and a must read. Amazing writing it reflects our Sindhi culture! Akankhsha, I read each line of the story of Mai (mother) and all the comments that support it. 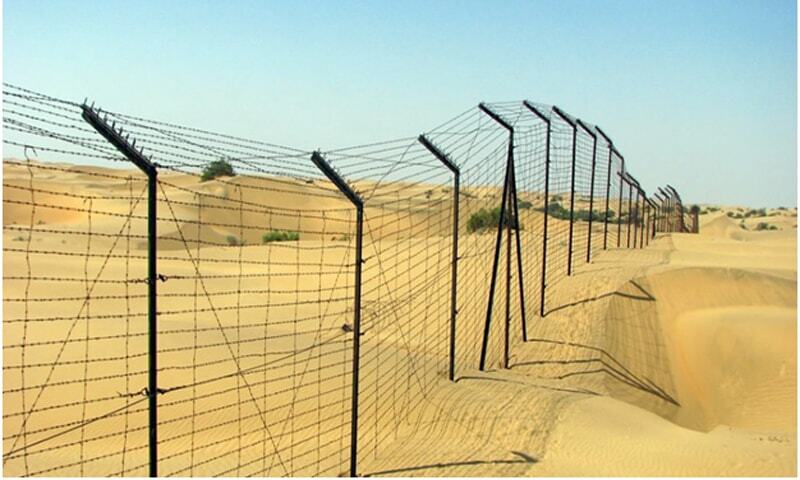 Partition not only drew line in the sands of Thar, it also drew lines in the waters of Arabian Sea and, the mountains of Himalyas (my Jammu & Kashmir) beside the land of five rivers (Panj-aab). 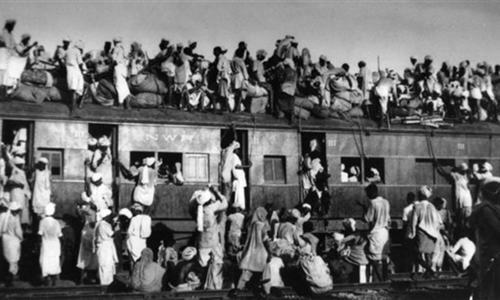 1947 Partition was the greatest curse on human beings of the subcontinent (Hindus, Muslims and Sikhs). Email me if You feel honesty and love, it's true believe me. P.s it's my first ever response. @zara, @Zak You probably did not understand the story. There is no indication that Mai converted. Definetly on both sides of our border there are such people with their souls undivided.. Superb writing Ms Sharma. Wow! Reading this was an amazing experience. Great Writing. Marvelous. The opening stanza from Faiz Ahmed Faiz. The style of narration and the food for thought in the end. The whole peice kept me engaged till the end. Your article about this woman has made my eyes wet and my heart in state of indescribable state of emotions! Simply amazing! Beautiful. A soul touching story. Hats off to Mai and Akanksha. Despite of shared sorrows we remain divided. May there be no hatred between India and Pakistan. Very poetic. Even as an agnostic I could sense Mai's transcendence through your words, Akanksha. Beautiful piece wonderfully written. This is beyond spirituality and borders. The story here is lack of care and abandonment of elderly parents and loved ones by the new generation. We live in different countries and follow different religions but abandonment and lack of care has not prevented from acting the same the uncaring way. Same stories from across the border are reported how neglected are our parents and grand parents...it includes all of us the prisoners of our circumstances where we only care about our modern families where parents no longer exist and for them this is the most painful partition. They didn't gain freedom. We can't blame that on the fringi and the partition. We changed our numbers and we never call...This is the real tragedy that no one is talking about....we partitioned our older adults and abandoned them and no wonder they long for the morning Azan from the other side of good old days when somebody cared. For a long time I have not read such a strong, moving, heart-felt and philosophical article. Let us learn from the past. Thanks Ms. Sharma.